Tickets are now available to purchase from the following outlets CASH ONLY PLEASE. Arrive to fire artists, food units and bar provided by https://www.facebook.com/RaisingTheBarMobileBarHire/ before the bonfire is lit. There is a 5 minute quiet display for those that are not keen on loud noise, followed by a taster of the nights live music before the main display. The night is then followed the 2nd set of live music. 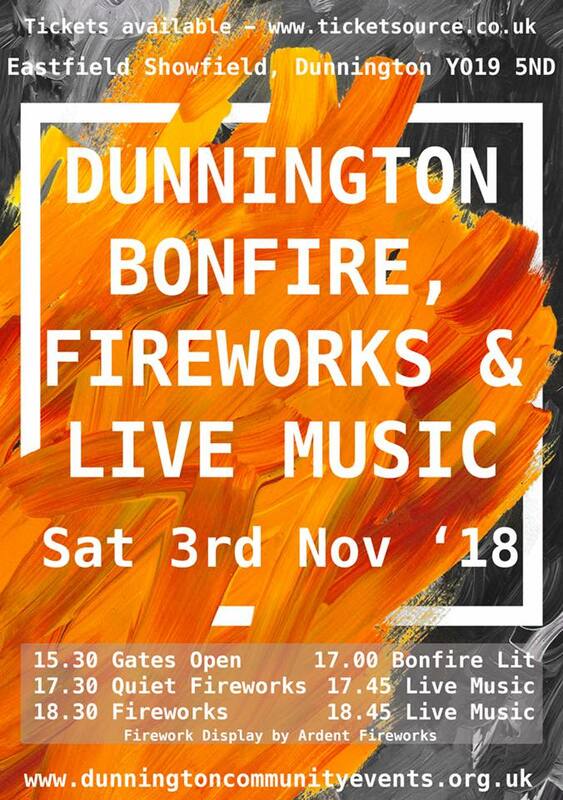 3.30pm Gates Open 5.00pm Bonfire Lit 5.30pm Quiet Fireworks 5.45pm Live Music 6.30 Fireworks 6.45pm Live Music. Live Music is by Sister Madly. 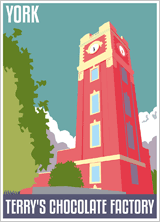 Please allow plenty of time for parking. If possible please use the Number 10 First Bus or walk. 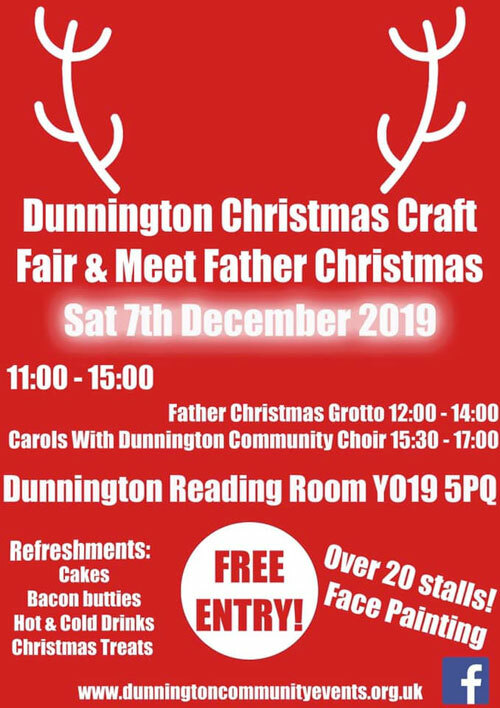 DUNNINGTON COMMUNITY EVENTS COMMITTEE Chairperson-Jenny Lewis Vice Chairperson-Neil Hudson Secretary-Joanne Hunter Gary Kay, Alistair Russell, Sharon Kerrison, Darren Barber, Cheryl Dooks, Kirsty Kerrison and James Gale. Refreshments - Bacon Butties, Cakes, Hot Drinks etc.